To print the image click on "Print" on the top right. The print preview screen will appear. Choose the printer and click print again. Don't worry, only the map will print to save you some ink. These maps are great for many different types of activities. Here's some ideas. Share your own ideas and we'll share them here! Teachers, print and share this map with students! Great for references, quizzes, and tests. 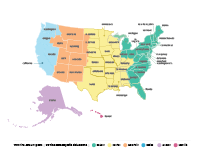 Use the blank map to test your student's knowledge on timezones boundaries for the United States. Here's some more ideas for teaching with maps from TeachingIdeas. 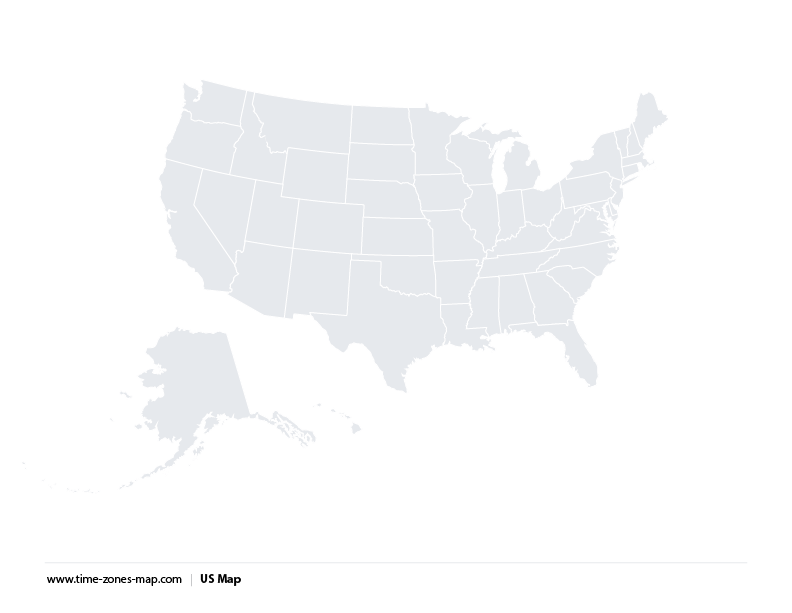 As a student you can use it to memorize your states for that upcoming social studies test! Test your state acronym knowledge with our interactive us map. Test your friend's and family's geography knowledge. Print out several copies and ask them to fill in as many states as they can. Also a fun student activity and a great ice-breaker. Here's a great thread in reddit when some of our british friends tried! It's so important to personalize team members with remote counterparts when you're working remotely. Use this map as a background to learn more about your team members. Where are they from, what is the best time to contact them. Download the map and write in their names to remind yourself! It's great for team-building exercises. Learn more about working with a virtual team.